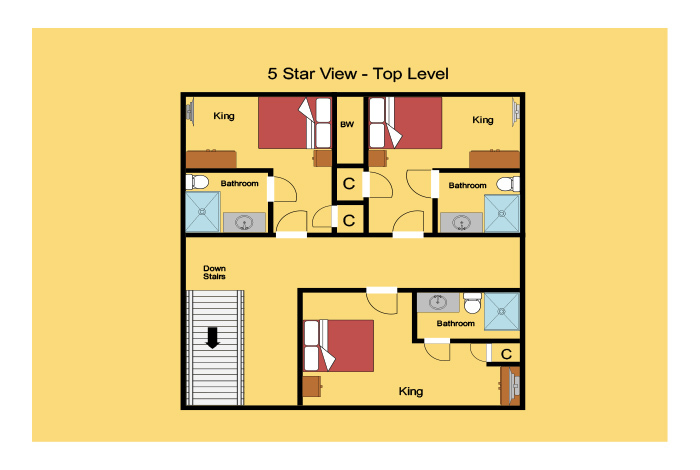 A Five Star View with a five star rating. 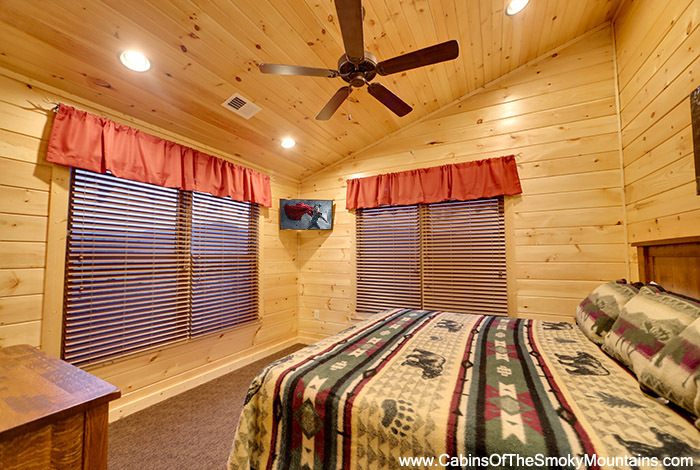 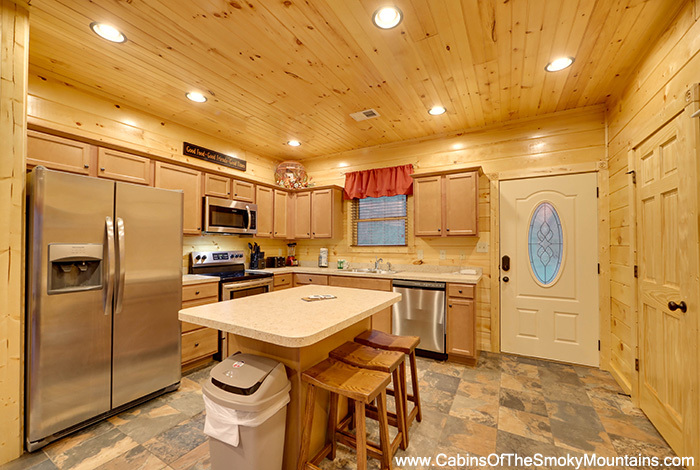 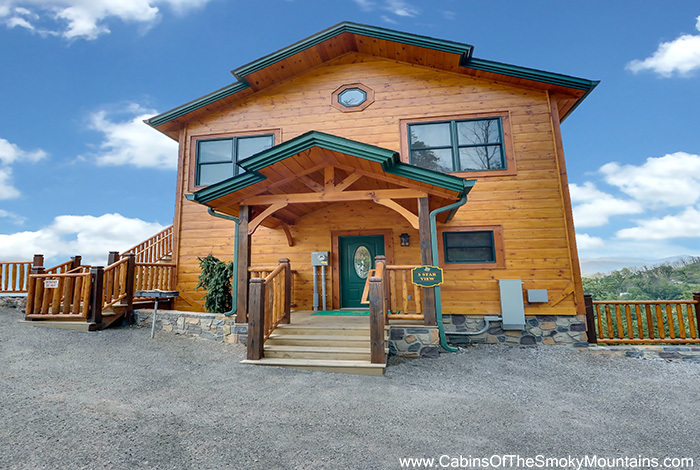 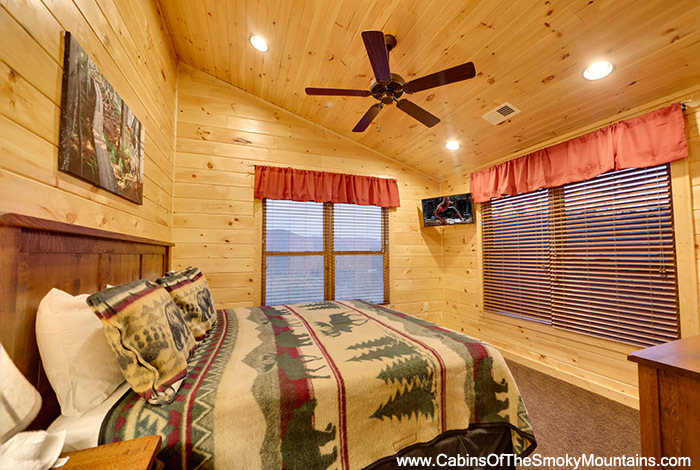 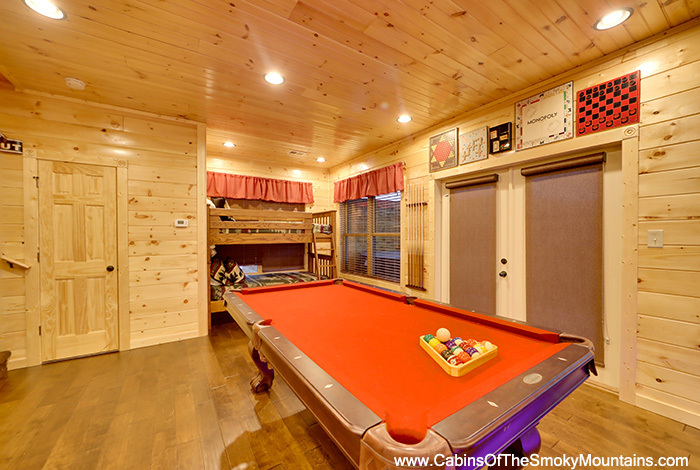 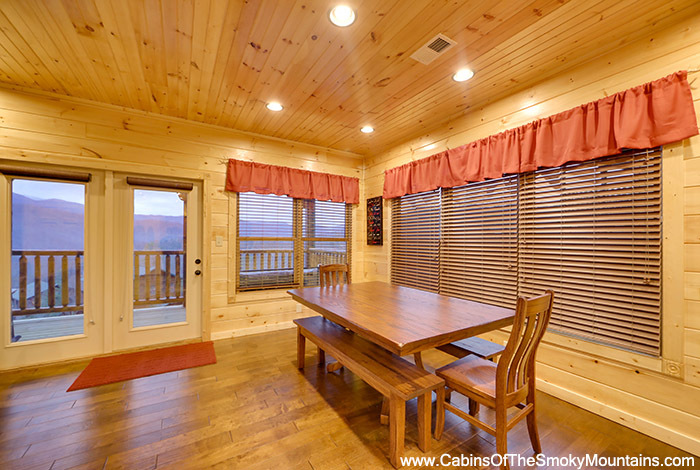 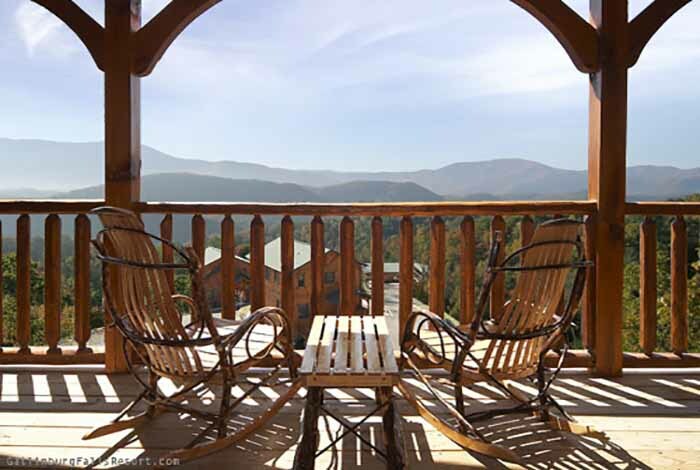 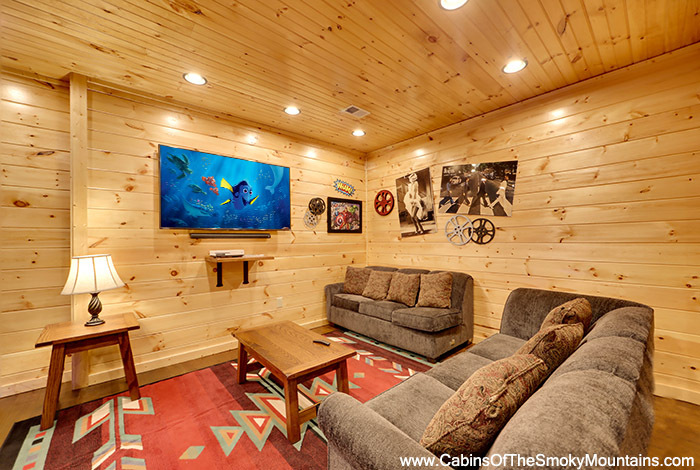 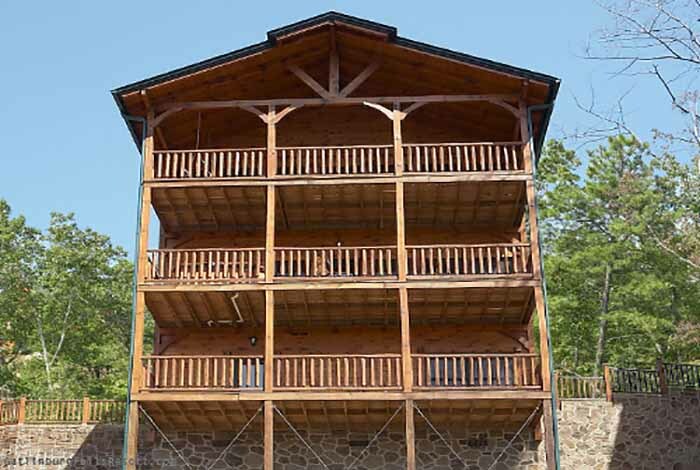 A phenomenal three bedroom Gatlinburg cabin with unparalleled views of the Smokies, luxurious furnishings, incredible amenities, and the perfect location. 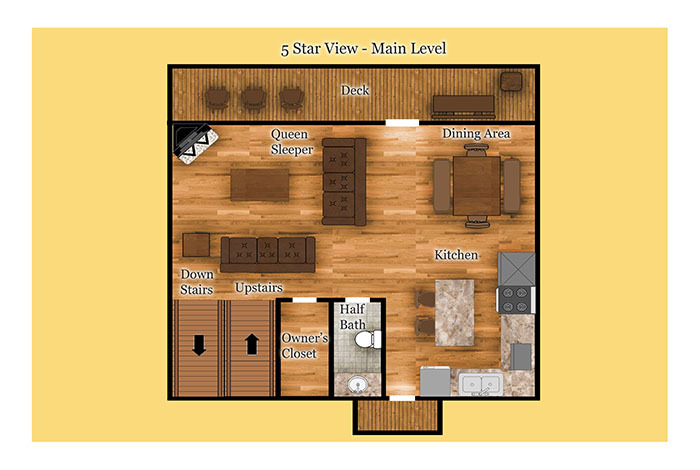 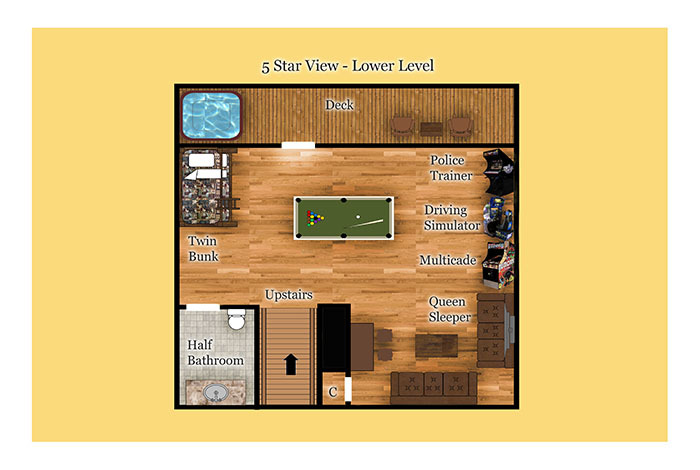 Two king bedrooms for the adults and a bunk room for the kids. 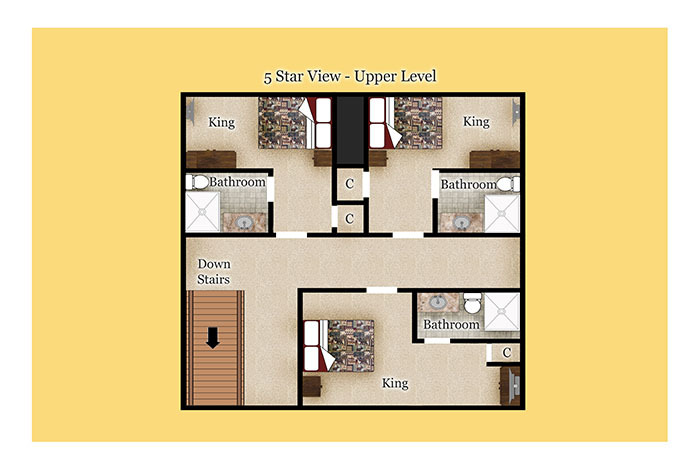 Four full baths, all complete with vertical jetted shower spa. 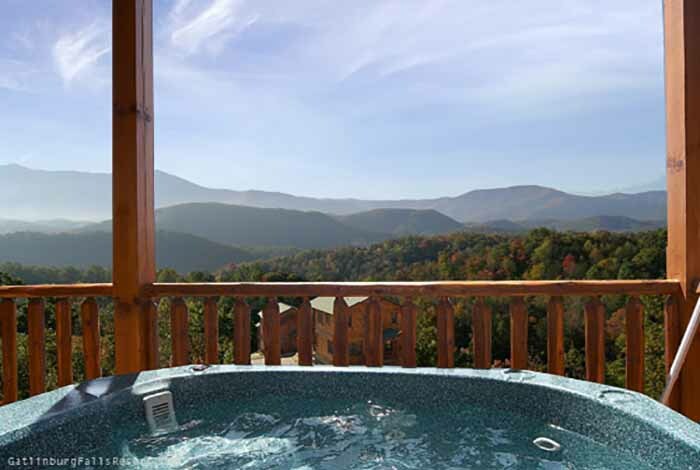 Hot tub on your deck overlooking amazing views of Mt. 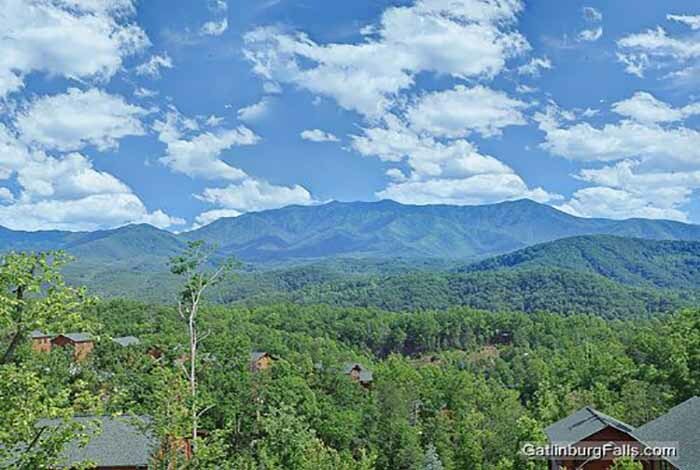 Leconte and the Smokies. 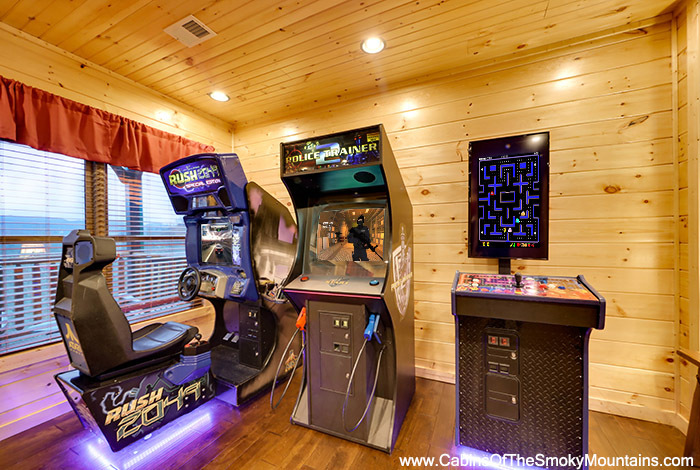 Plus, the most popular games on the planet pool table, air hockey, Elvis pinball, Ms. Pac Man/Galaga arcade game and 80+ Mega Touch game. 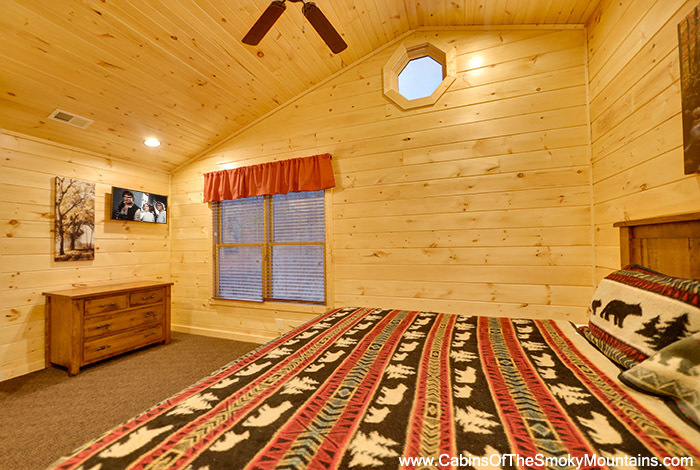 Five cable TVs with DVD including big screen and a fireplace for icing on the cake. 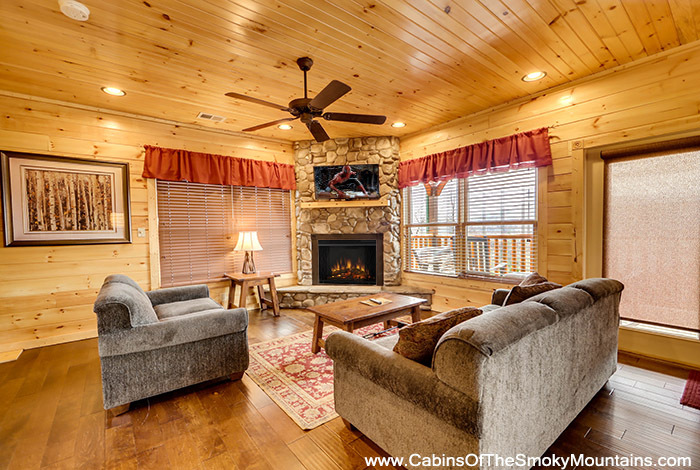 And when its time for a little fresh air, you're just minutes from all the action and adventure of the Great Smoky Mountains National Park and downtown Gatlinburg. 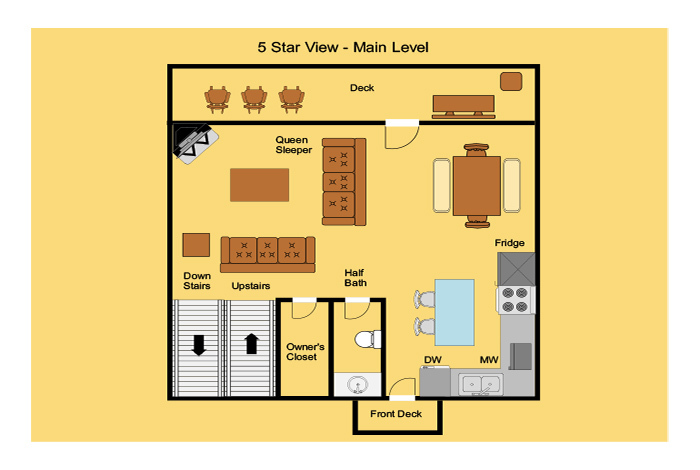 Five Star View with everything under the sun.